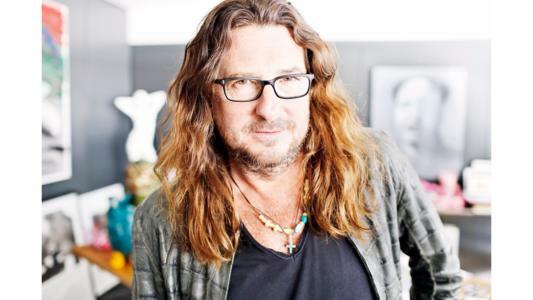 Jacques-Antoine Granjon is the founder and CEO of Vente-privee, the successful online flash-sale company. He reveals to Leaders League how one person’s passion can fuel an entire organization. Leaders League. How can one man’s passion be transmitted to an entire team. How have you, personally, managed to do it? Jacques-Antoine Granjon. First off, I am not alone. Luckily the company does not rest on one set of shoulders, but on the whole organization. I have a threefold role these days. My first mission is to safeguard the business model, the sense and the values of the company I created. I also have to provide the strategic and tactical vision for the company in the years to come. Finally my role is to infuse our managers with energy so that on a daily basis they are able to apply these tactics and pass on information all the way down to the last link, so that each staff member understands what his daily job is. What methods can a leader employ to transform his individual ambition into a common cause? Individual ambition is certainly one of the drivers for an entrepreneur. However the builder, he who has a long-term vision for his company, of its potential and its expansion, knows very well that his personal ambition will take a back seat to more important issues, such as the common good, the brand, know-how and experience. In reality, it is the sum total of all the hopes and dreams of managers and staff that bring life to a company each and every day. Injecting passion, energy and above all inspiring trust and giving responsibility, those are the keys to maintaining the ambition of your staff. A leader must base his relationships with others on trust and encourage their engagement. How to avoid falling into the trap of submission? By accepting innovation. Change can come from us all, as long as the DNA, the sense or the values are not called into question. By surrounding oneself with talents more qualified than ours – the only way to ensure a solid and productive development – and by giving everyone the right to a mistake, as long as the error does not happen a second time. What essential ingredients of leadership don’t get enough exposure? Leadership cannot be learned. It is undoubtedly genetic. However, it is shaped, sized and polished like a diamond through experience and over time. The more leadership shines through, the more staff and future leaders become aware of their own talents and potential. It’s this transmission, this desire to accumulate several strata of experiences, that adds spice to the adventure: create to last, and create to change. Do you think a leader necessarily has to have qualities of a political and social nature to be able to unite a group? As entrepreneurial symbols go, the young Napolean Bonaparte seizing the blue, white and red banner and charging across Arcole bridge under heavy fire, giving renewed strength and courage to his beleaguered troops in front of the stunned Austrians, is a powerful example: bravery, valor, vision, surpassing oneself, and a hefty dose of recklessness. Summary Dentons Aspires to Be Not Only a Law Firm, but a Business Solutions Firm Mercedes Erra: “A leader will sometimes doubt, but always keeps the faith” Najat Vallaud-Belkacem: "A leader needs to forge an intimate conviction that leaves very little room for doubt" Claude Onesta: “My role is to create the conditions that allow the players perform to their best” Clara Gaymard: “A liberated company puts people at the heart of its ambitions” Guy Forget: "A leader must understand what makes his people tick” Anne-Sophie Pic (three Michelin stars chef): “In the kitchen everyone has their part to play” Pope Francis – An Exceptional Leader Bill George: "Just as a calm sea doesn’t make a great sailor, a period of economic stability doesn’t make great leaders"